Stocking filler ideas from Amphora Aromatics that won’t break the bank. - Amphora Aromatics Ltd – Supplier of pure essential oils and aromatherapy Products. Don’t go Christmas crackers at the thought of stocking fillers this year, Amphora Aromatics has a host of gorgeous essential oils and aromatherapy goodies for natural beauty fans of all ages – with prices starting at just £1.20 for a fruity face mask. Check out the full range at www.amphora-retail.com or call us on 0117 9087770 for more information. 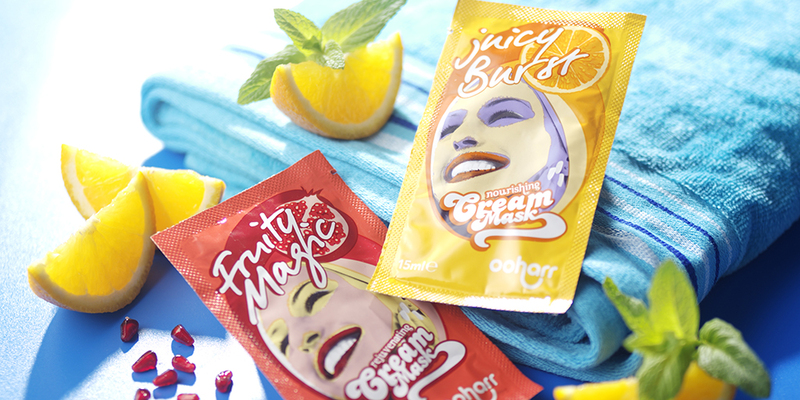 Ooharr Juicy Burst and Fruity Magic Cream Face Masks – RRP £1.20 each - Get set to see off dull skin with a burst of Vitamin C out to deep cleanse and improve skin texture, jam-packed with an oomph of nutrients thanks to a host of natural ingredients leaving it hydrated and feeling smooth. Amphora Aromatics’ Ylang Ylang Bath Fizz Bombe - RRP £1.99 – the relaxing and aphrodisiac effects of Ylang Ylang essential oil will help soothe away Christmas stress. One bombe is enough for two baths, creating a gorgeous sedative aroma. Amphora Aromatics’ Nail & Cuticle Care Oil – RRP £2.76 for 10ml – a nail bar treat in your own home. Amphora’s nail nourishing and strengthening blend contains Jojoba, rice grain, vitamin E and Sweet Almond oil. Glass bottle comes complete with a special, easy application brush. Amphora Aromatics’ Orange & Clove Incense Sticks - RRP £3.00 for 15 sticks – a sweet, spicy and fresh aroma, this traditional festive scent comes in a stick made from bamboo and tree pulp from sustainable sources. Amphora Aromatics’ Tea Tree Pure Essential Oil – RRP £3.60 for 10ml – a multi-tasking essential oil, this cooling tonic can be used for everything from adding to your shampoo to help combat dandruff through blending as a facial massage oil, to helping relieve winter colds as a steam inhalation. AA Skincare’s Sage & Ylang Ylang Soothing Liquid Soap - RRP £5.95 for 250ml - herby and purifying Sage combined with sweet Ylang Ylang give this vegan-friendly liquid soap an uplifting aroma. Helps to boost low spirits and awaken the senses as well as clean hands. AA Skincare’s Botanical Boost Frankincense, Rose & Argan Oil Shampoo Bar – RRP £5.94 for 50g – perfect for holidays, the gym or everyday use, features rejuvenating Frankincense and vitamin-rich Avocado oil as well as anti-oxidant packed Argan oil and aromatic Rose oil. Suitable for all hair types. Amphora Aromatics’ Fresh Feet Lotion Body Lotion – RRP £4.80 for 100ml – treat feet to an invigorating mix of 100% pure Tea Tree and Peppermint essential oils blended in Sweet Almond oil. Naturally antiseptic, antifungal and deodorising. Amphora Aromatics’ Cinnamon 20hr Mini Pot Candle – RRP £5.50 - warm and spicy aroma, comes in an attractive presentation box, made from pure essential oils and 100% Natural Plant Wax. AA Skincare's Lavender & Tea Tree Cleansing Face Gel – RRP £5.94 for 100ml – the world’s two most popular essential oils help to cleanse, tone and protect skin with natural antiseptic and anti-fungal properties. The perfect vegan-friendly stocking filler for a teenager. 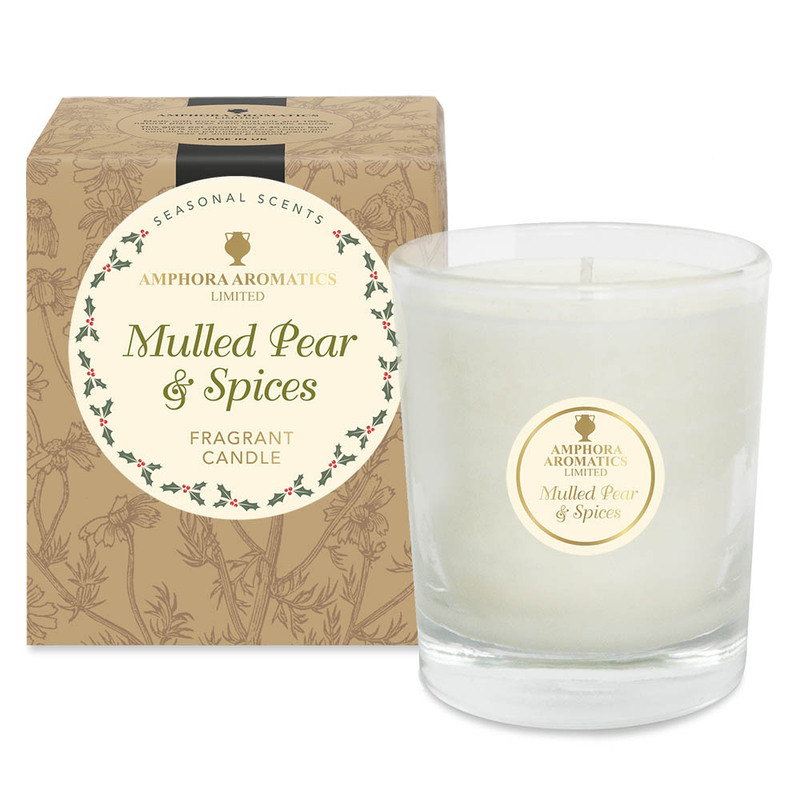 Amphora Aromatics’ Mulled Pear & Spices 40-hour Pot Candle - RRP £9.50 – a sweet and spicy Christmas treat with an uplifting aroma. Made with 100% natural plant wax. Comes in beautiful presentation box. Amphora Aromatics’ Festive Aromatherapy Blend RRP £7.50 for 10ml – a wellbeing present that also creates a festive mood. A spicy and warming mix of fruity Orange, exotic Cinnamon and spicy Clove. Comforting and restorative, can also help boost energy levels. For use in diffusers and burners. AA Skincare’s Rosemary & Olive Deep Cleansing Oil – RRP £7.98 for 150ml - a multi-purpose face oil for all skin types. Works equally well as a nourishing makeup remover or as a soothing tonic for irritated skin. 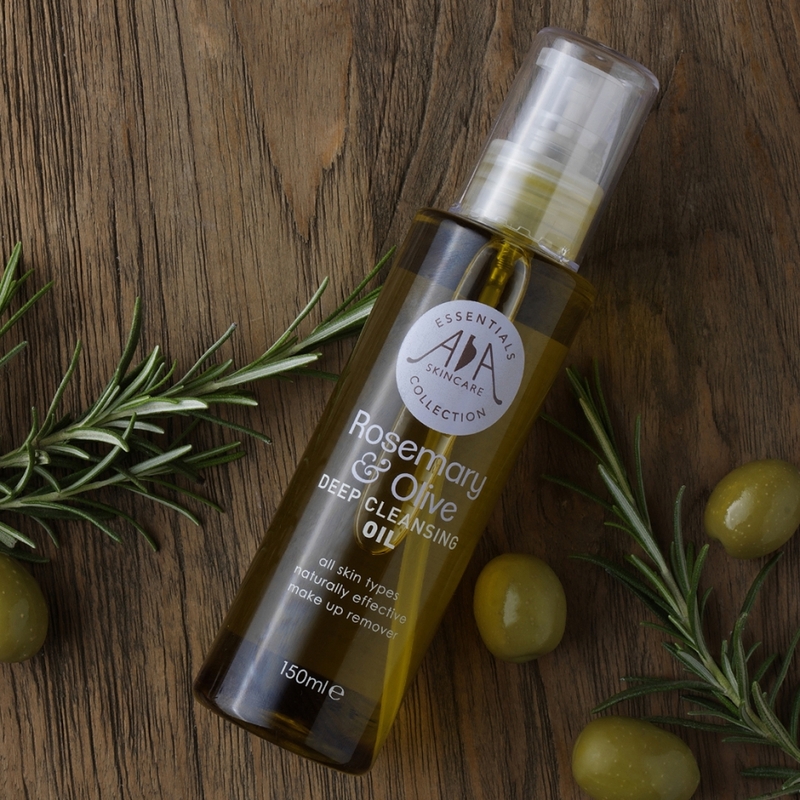 Made from naturally antiseptic Rosemary essential oil blended in Olive oil, rich in skin-loving antioxidants, vitamins and minerals, featuring a mild and enchanting herby aroma. AA Skincare’s Vanilla & Honey Skin Polisher Mask - RRP £7.98 for 100ml – a luxurious stocking filler, will leave skin feeling wonderfully soft, smooth and supple. Packed full of gorgeous ingredients to moisturise and condition skin. Vanilla provides vitamin B to help promote a healthy complexion, whilst honey is renowned for its abundance of antioxidants to help fight signs of ageing. Amphora Aromatics’ Rejuvenating Rosehip Seed Oil 25ml – RRP £7.50 - wonderful to use in a facial treatment, as an oil cleanser or natural serum. Rosehip oil helps to penetrate the skin, helping to lock in moisture and encourage a healthy glow! Comes in a handy 25ml tincture bottle.